Thinking of a branding exercise. Do consider the custom Striped College Jeep Cap. 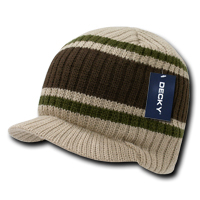 The knitted cap with a visor, also known as a jeep cap, has undergone a makeover. From a regulation military gear said to be worn under a helmet, the jeep cap has now acquired a preppy and classic look that can be worn on campus or to any casual event. With our branded Striped College Jeep Cap, you can now have a stylish and practical hat, perfect for your promotional and marketing needs. Our customised Striped College Jeep Cap comes in three hip color combinations: Khaki/Brown/Olive, Olive/Brown/Khaki, and White/Green/Yellow. 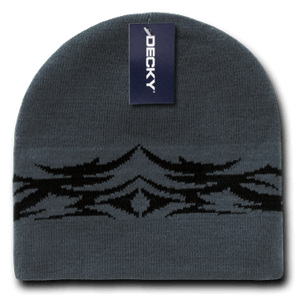 It is a hat that is as functional as it is fashionable; its pre-curved visor will help protect the wearer from the elements, without obscuring one’s line of sight. 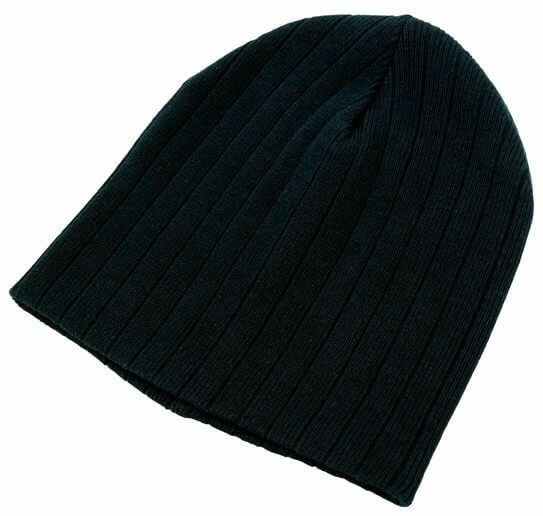 This knitted hat is made from 100% acrylic, which will allow it to withstand exposure to various weather conditions, as well as multiple washes. 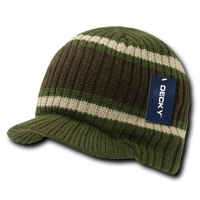 Although our personalised Striped College Jeep Cap comes in a single size, its stretchy construction ensures that it will fit most wearers, making it ideal for giveaways in advertising and events. 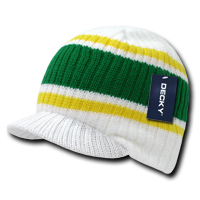 This cap can be further customized by the addition of embroidery, featuring any design of your choosing. Designs may be rendered in up to 5,000 stitches, with adjustments for more complex graphics. With your personal touch, the promotional Striped College Jeep Cap becomes a functional and fashionable way to showcase your brand. Please also take a look at our cool Jeep Cap variants like the trendy personalised Flat Top Jeep Caps and the custom Youth GI Jeep Caps. While you’re checking out our line of wearables, it would also be cool if you include some custom Confectioneries on your next promotion. Do check our printed candies for more promotional options as pairing confectionery giveaways with your headwear gifts makes your event so much more special. 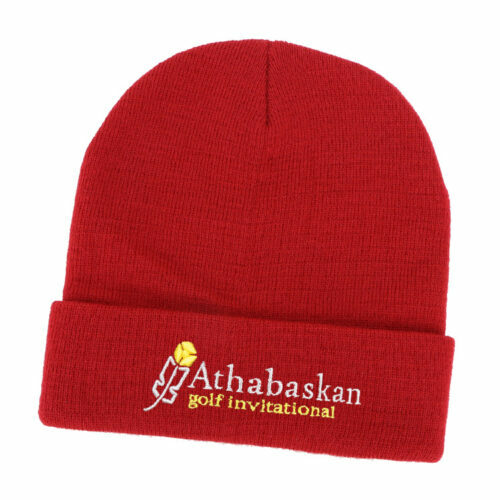 Let us know how we can help you with ordering your branded caps. Give us a call via 1300 008 300, or chat with us online.